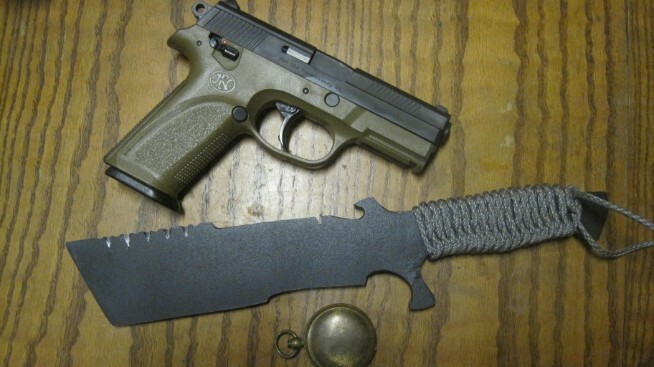 THE TOUGHEST KNIVES YOU HAVE NEVER HEARD OF... Not very famous but have been in some nasty places- Afghanistan, Iraq, Korea, etc. Thanks for looking! Persian style knife made for a friend. My first successful full hollow grind! 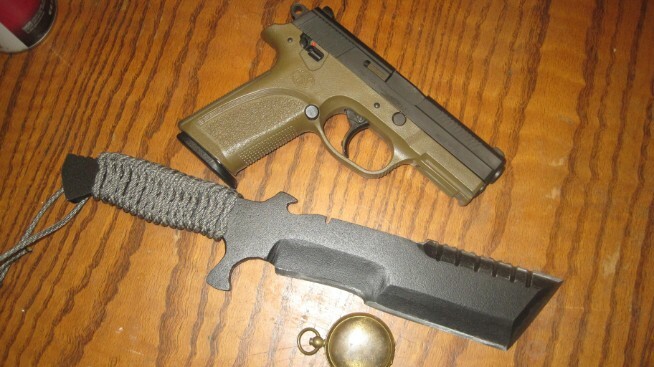 A Combat tanto. 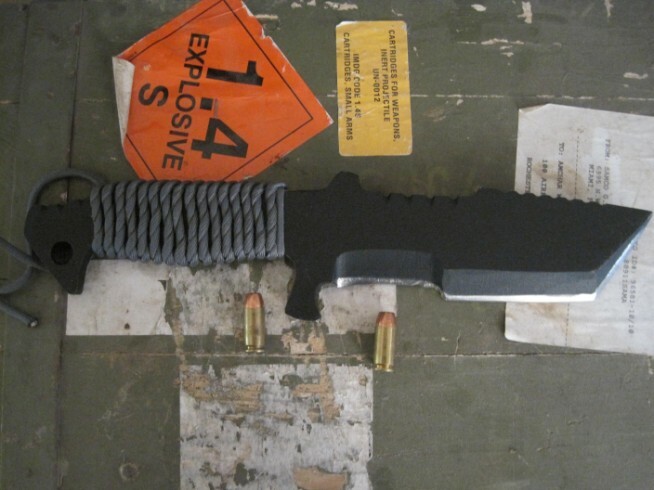 7" blade, quarter inch thick of goodness, or badness. The FC3, don't ask. 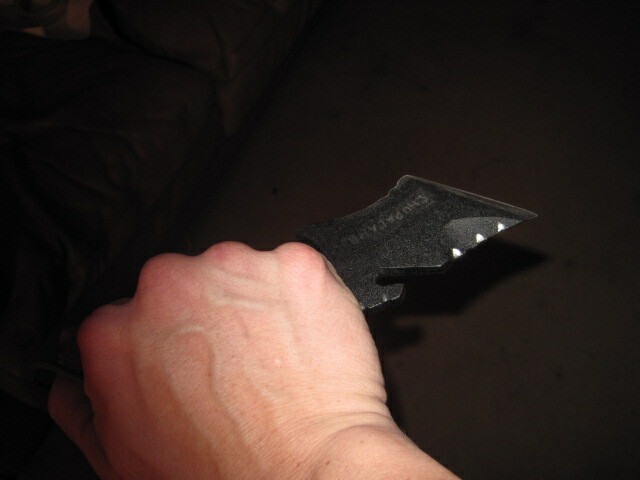 It comes from playing a certain video game... 6" blade 1/4" thick. My KopisKnife. 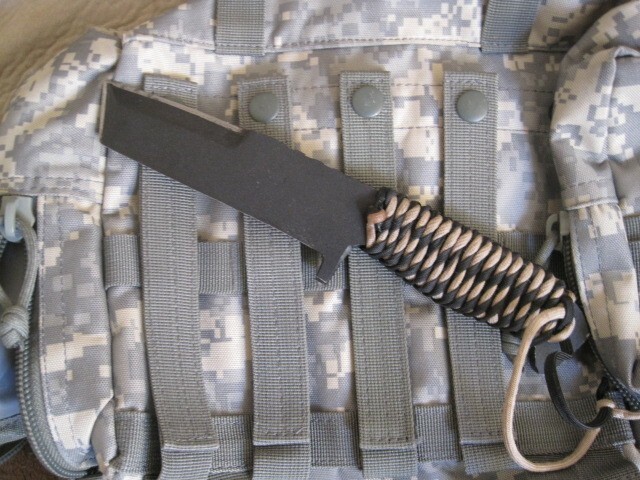 It has a 5 3/4" blade, 1/4" rhick, and in of course, the kopis or falcatta style blade format. It is flat ground with a bottle opener. This design is of course a khukri. I started on this about a year to a year and a half ago, and just never finished it until now. 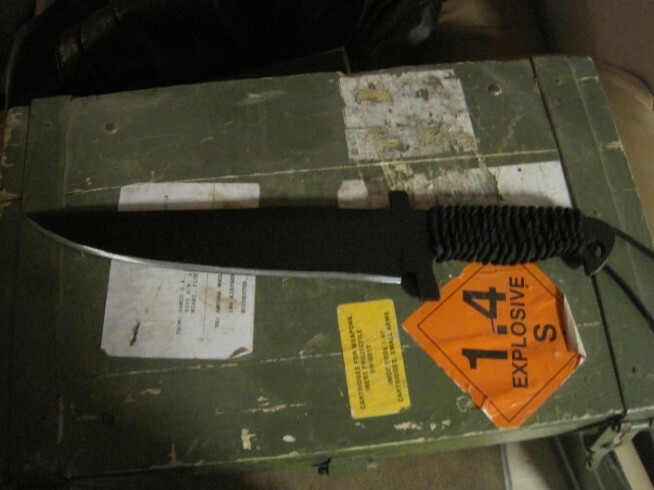 The blade is just under 8", is 5/16" thick, and is flat ground. 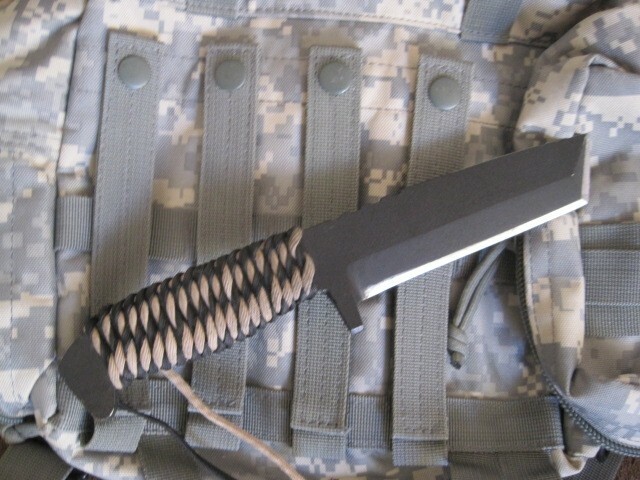 Besh Wedge combat knife. 5" blade, 1 3/8" wide. One of my favorites. 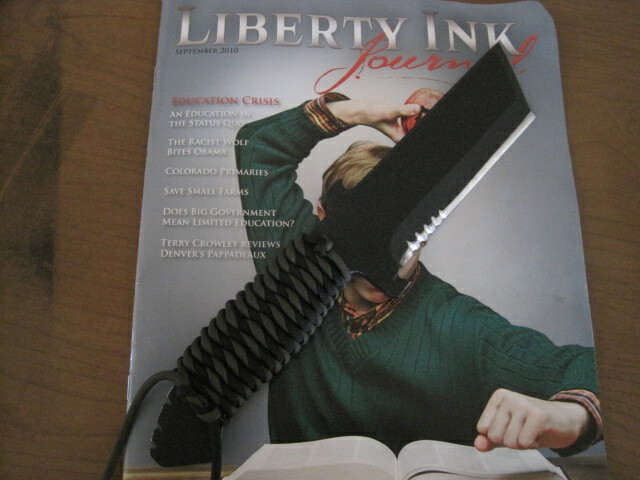 A newer version of the Dangerous Liberty. 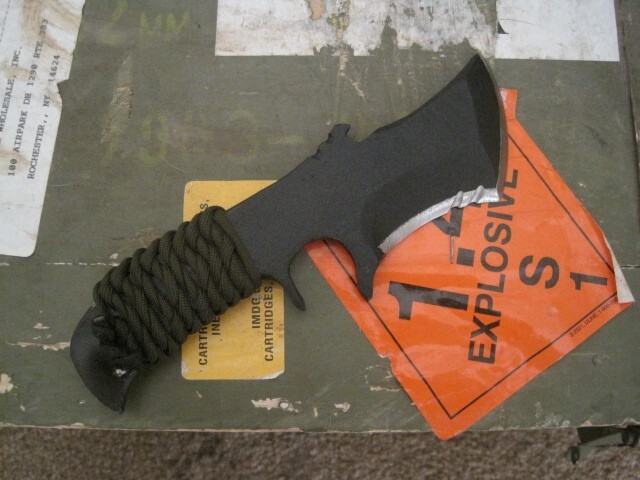 This one was designed to fit in a Spec-Ops Brand sheath. 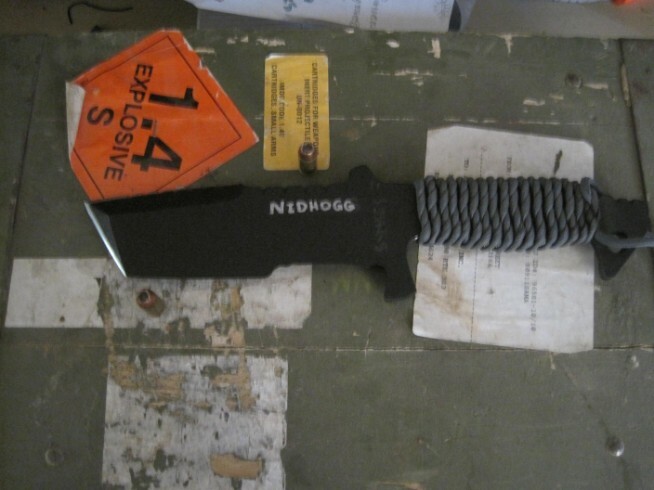 Just under 6" blade, 1 3/4" wide, 1/4" thick. I also put a top guard on this, and oddly enough, this guard will pop the top off beer bottles! 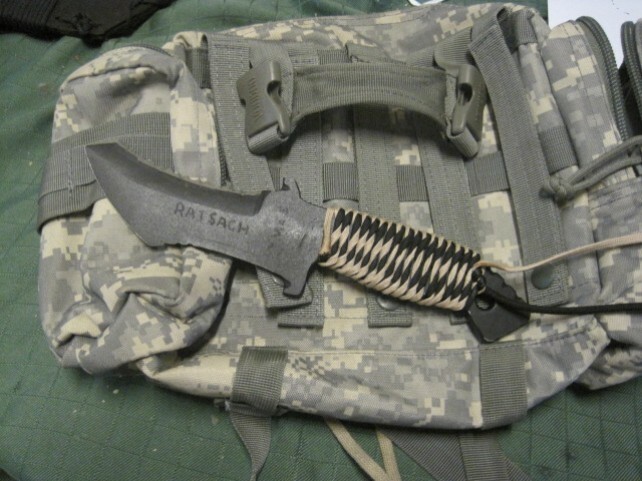 The Ratsach: 5" blade, 1/4" thick with the Besh Wedge. I modeled it loosely after the Echanis Hobbit Warrior. 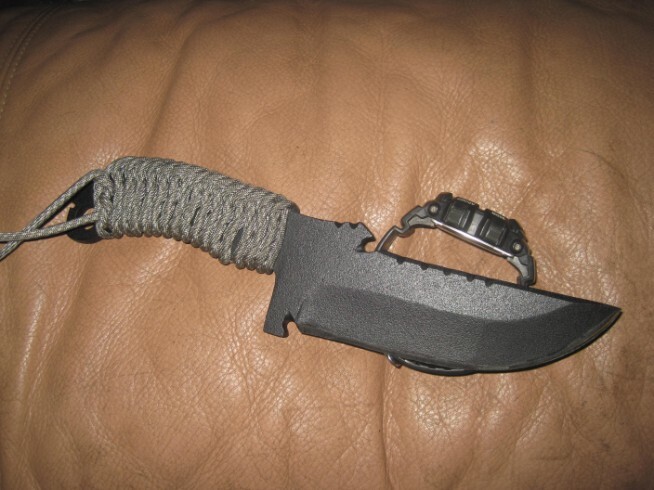 This knife was intended to be a "fighting" knife, but turns out has a lot of survival qualities: curved leading edge for skinning, serrations that cut wood quite well; the recurve that allows for finer cutting and for gutting a dead animal. No, the top guard doesn't open bottles. The Chupacabra. Mean and nasty defensive knife with a bottle opener so you can crack open a beer to celebrate your survival! 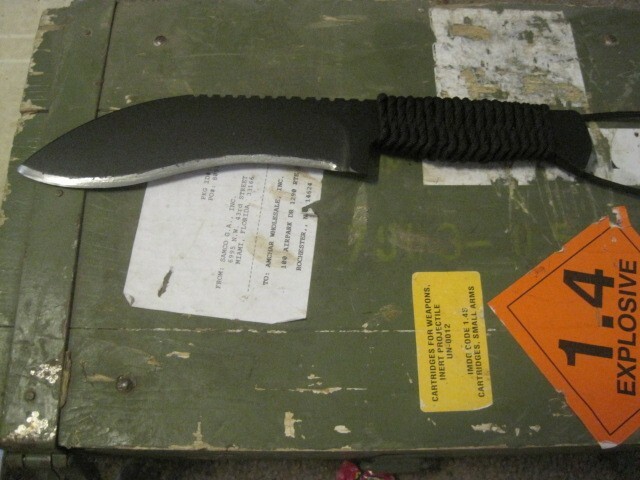 7 1/2" overall; 3 3/8" blade; 1/4" thick. This uses the Besh Wedge, and is wicked sharp. 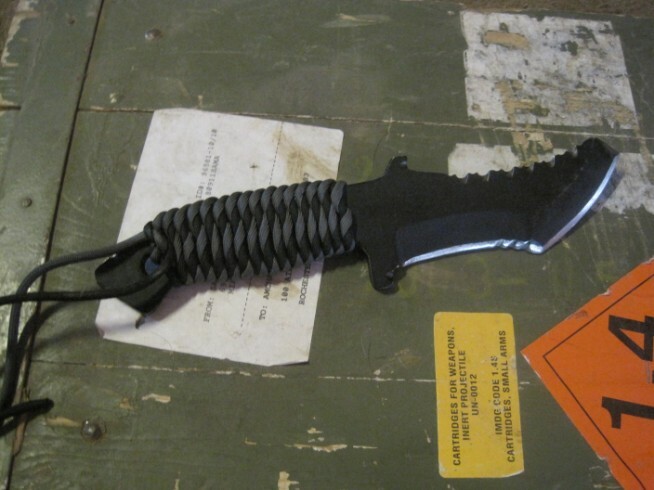 This knife I called the Gila. 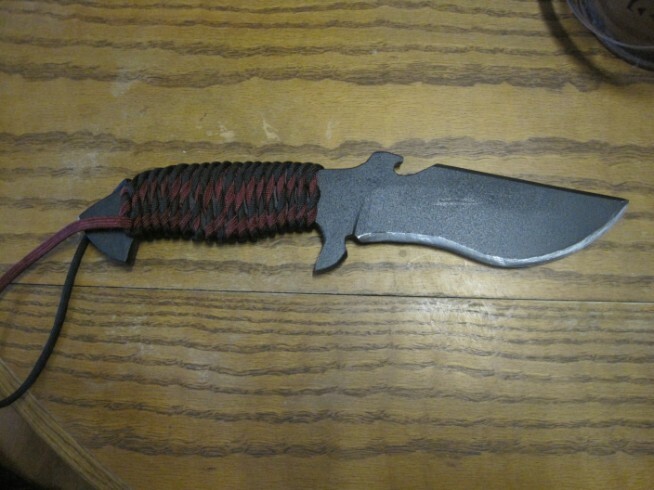 It is based off of a martial arts knife that I refined and added an extra blade catcher to the top, thereby doubling the highly improbable odds of it actually catching a blade. 2 3/4" blade, 3/16" thick.